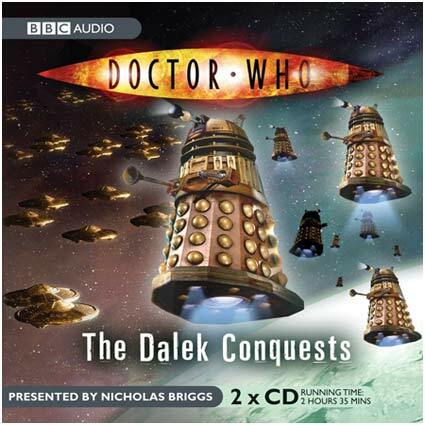 BBC Audiobooks will release a two-disc history of the Daleks on May the 1st, titled The Dalek Conquests. The set will feature clips from their various TV appearances, with linking material by Nicholas Briggs, who provided the voices for the Daleks in the recent TV series. RRP for the set is £13.99. Serenity fans might like to have a bash at the promotional Serenity game online which can be found here. If you haven't already done so, feel free to check out our Serenity interviews here, here, here and here. The Serenity DVD was released yesterday. Tartan has issued a revised press release for Lady Vengeance (see below for the original announcement). This will now not be a two-disc set, and it will only include the exclusive Park Chan-Wook interview. Technical spec's remain the same, as does the RRP. It will, however, be released a week earlier, on May the 15th. Presumably Tartan is working on a two-disc edition with the bonus features announced yesterday: certainly it wouldn't be the first time Tartan has done something like this (as collectors of their various editions of Battle Royale will attest!) If you can't wait for the inevitable double-dip, you might want to investigate other options, including the Korean two-disc Special Edition available now from etailers like CD-Wow. Tartan will release Park Chan-Wook's brutal revenge drama Lady Vengeance as a two-disc Special Edition DVD on May the 22nd. The film will be presented in anamorphic widescreen format, with a choice of Dolby Digital 2.0, Dolby Digital 5.1 and DTS 5.1 audio tracks. Menu screens for Optimum Asia's forthcoming releases of My Neighbor Totoro and Howl's Moving Castle are available for your viewing pleasure here. To celebrate the launch of her new book Out of Time, Ruth Boswell comes to the Midlands Arts Centre (Birmingham) to talk about her career as a successful television and film producer. Ruth is most fondly known for creating ITV’s first science fiction drama called Timeslip while working for the ATV script department, followed by in 1972 moving to Thames and producing the first four seasons of The Tomorrow People. Moving to produce adult drama for the BBC in the 1980s, Ruth took the helm of many successful television dramas including Maybury starring Patrick Stewart. While in 1990s she was best known for producing the television dramas The Chief starring Tim Piggott-Smith and Martin Shaw and The Uninvited with Douglas Hodge and Leslie Grantham. Her films include Run for the Country with Albert Finney, co-produced by Peter Yates and written by Shane Connaughton (My Left Foot). She is currently developing a feature films entitled Gricers. Ruth has recently returned to writing with her Novel Out of Time, published by The Muswell Press and Fantom Films. The event takes place at the Hexagon Theatre at the Midlands Arts Centre (Canon Hill Park, Birmingham) on April 1st at 2.30pm. Tickets cost £7.50 with only 80 seats available. Ticket hotline - 0121 440 3838. The audience will have an opportunity to ask questions, and to meet Ruth personally and receive a signed copy of Out of Time. You can see menu screens for Cinema Club's forthcoming release of the landmark BBC drama series Elizabeth R here. The three disc set contains two feature-length episodes on each disc, presented in their original 4:3 format, with mono audio (at 192kbps). The episodes have optional English subtitles. The set is a no-frills affair, with simple 'Play All' and 'Episodes' menus, but no way of accessing the individual chapters (they're there, but there's no menu screen). The episodes themselves are in pretty good shape, mainly because the BBC kept the original recordings. The series was almost exclusively studio-based, with very occasional film inserts. These are generally in good condition, and it wouldn't surprise me if they've been given some rudimentary clean-up at some point. The audio is standard BBC quality, with the odd off-mic line, and one or two tiny dropouts. There was a problem with the audio at the end of the first episode on the review discs I was sent (the audio cuts off thirty seconds before the end of the episode). This has been reported to the label. The lack of extras is disappointing, of course, especially considering the series status, and the fact that many of the contributors are still around, and active. Considering the relatively high RRP, you'd be forgiven for expecting a couple of commentary tracks, or a modest documentary. The set is released on March the 20th, with an RRP of £29.99. 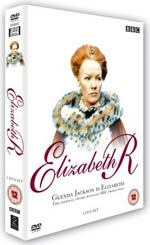 Best price at the moment seems to be DVD Popcorn, at £20.35, including postage. 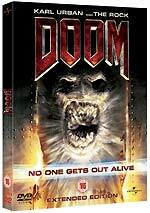 Universal will release an extended version of the surprisingly well-received computer game adaptation Doom on April the 3rd. The film, which stars Dwayne "The Rock" Johnson and The Chronicles of Riddick's Karl Urban, will be supplemented on disc with several bonus featurettes: Basic Training (11m); Rock Formation (6m); Master Monster Makers (11m, the film's creatures were created by Stan Winston Studios); First Person Shooter Sequence (6m); Doom Nation (15m) and Game On (7m). No technical details were announced. The RRP will be £19.99. Play.com now has the cover of the fourth and final Blake's 7 DVD set. Thanks to Rick for pointing that out! 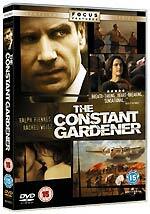 Focus Features, via Universal, will release Oscar contender The Constant Gardener on DVD on March the 13th. The film, about the investigation into the murder of an activist in Northern Kenya, is based on the best-selling John le Carré novel, and stars Ralph ("it's pronounced Ralph") Fiennes, Rachel Weisz. Technical specifications weren't announced, but we do know the disc will have English subtitles, and will contain some bonus materials: Embracing Africa: Filming in Kenya (9m); John le Carré: From Page To The Screen (8m); Anatomy of a Global Thriller: Behind the Scenes of The Constant Gardener (12m); Extended Scene: Haruma - Play in Kibera (10m) and Deleted Scenes (11m). RRP for the disc is £19.99. Optimum will release the teen slasher cry_wolf (sic) on March the 27th. The film is presented in 2.38:1 format, with anamorphic enhancement. There's a choice of Dolby Digital 2.0 and 5.1 tracks (at 192kbps and 448kbps respectively). Bonus features are extensive: a commentary track (by director / co-writer Jeff Wadlow, producer / co-writer Beau Bauman and editor / associate producer Seth Gordon); deleted, extended and alternate scenes (19m, with optional commentary); Wolves, Sheep and Shepherds: Casting the Roles (14m, with optional commentary); Behind The Scenes: Enter The Sinister Set (12m); Before They Cried Wolf: The Filmmakers' Short Films (Tower of Babble (22m) and Manual Labor (6m)); and a UK theatrical trailer. The press release doesn't mention it, but there's a disclaimer at the beginning of the film that says "This film has been modified from its original version to include additional material not in the original release". The running time of this extended version is 86'44". The sleeve and the claims it's "Uncut". RRP for the disc is £15.99. The PR company representing the release of the Richard Pryor Box Set that's released today (the one containing Car Wash, Stir Crazy, Brewster's Millions, and See No Evil, Hear No Evil), have created a viral promotional website, which is a good way of killing five minutes. You can find it here. Warner Home Video will release the second season of One Tree Hill on April the 10th. The six-disc set features all twenty-two episodes, together with an unspecified "array of insightful special features". The set has an RRP of £59.99. 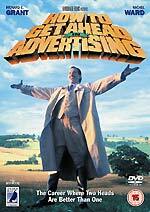 Anchor Bay Entertainment is releasing Bruce Robinson's How To Get Ahead in Advertising on April the 10th. The film, which stars Richard E. Grant as a young advertising executive, whose writer's block manifests itself in a malevolent stress-related boil on his shoulder. The film is presented in anamorphic 1.66:1 format, with a choice of Dolby Digital 2.0, Dolby Digital 5.1 and DTS 5.1 audio tracks, and optional English subtitles. It's presented in anamorphic widescreen format, with a ratio of 1.85:1 (the press release claims it's "1.65:1). The film is presented on a single-layer disc, with an average bit-rate of 6.62Mb/s. Bonus features are biographies, film notes and a modest stills gallery. The RRP is £16.99. Optimum Asia will release two further Hayao Miyazaki masterpieces, Howl's Moving Castle and My Neighbor Totoro, on March the 27th. 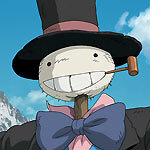 Howl's Moving Castle, fresh from its recent theatrical presentation, will be presented in anamorphic 1.85 format, with a choice of Japanese and English Dolby Digital 5.1 audio tracks (at 448kbps). Voice talent on the English track includes Emily Mortimer, Blythe Danner, Christian Bale, Jean Simmons and Billy Crystal. Bonus material includes a presentation of the film in storyboard format, as an alternate angle when the film plays; an interview with British author Diana Wynne Jones (who wrote the book the film is based on, 8m); Interview with Pixar's Pete Docter (who directed the English audio track, 7m); Hello, Mr Lasseter (a featurette documenting Miyazaki's visit to Pixar, 17m); Explanation of CG featurette (20m); theatrical trailers and TV spots (14m); and the usual Studio Ghibli trailer reel. 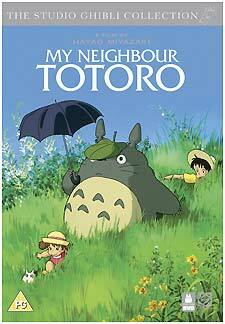 Miyazaki's charming My Neighbor Totoro is presented in windowboxed format, with an aspect ratio of 1.84:1, and anamorphic enhancement. There's a choice of two Dolby Digital 2.0 tracks: English and Japanese (both at 224kbps). 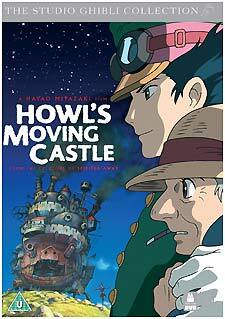 The disc's bonus material includes the storyboards as an alternate angle; textless opening and closing animation; Japanese trailer; and Studio Ghibli trailer reel. The press release mentions a Birth of Studio Ghibli featurette, but it doesn't seem to have made it to the finished disc. David Lloyd and Jamie Delano will be signing copies of the Territory and V For Vendetta graphic novels at Forbidden Planet, Shaftesbury Avenue, London, on Saturday March the 18th, between 3 and 4pm. To order signed copies, or for more information, call 020 7803 1900. James Cellan Jones is not able to attend Kaleidoscope's gathering on March the 4th, so there have been some changes to the lineup. Full details can be found here.